My portrait has now arrived in its new home. It is housed among other portraits in Wroxton Abbey (pictured below, left), the ancestral home of Lord North. The Abbey – although a Jacobean mansi on, it is still known as Wroxton Abbey because it is built on the site of an abbey – lies just outside Banbury and now forms the home of Wroxton College, the overseas campus of Fairleigh Dickinson University. I have a long association with the College going back decades and regularly lecture as well as host conferences there. 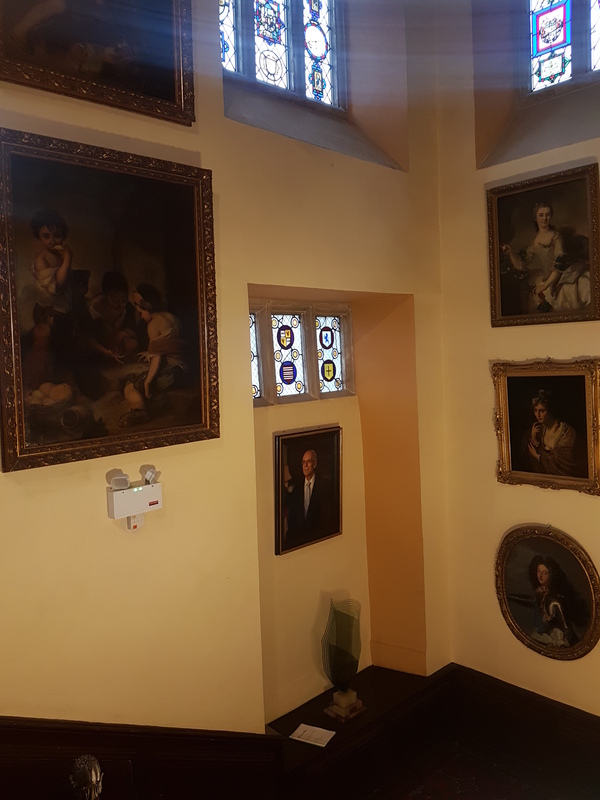 The portrait hangs on the Regency Staircase (right, the portrait is in the centre), the main staircase in the Abbey leading up to the magnificent Reg ency Room. 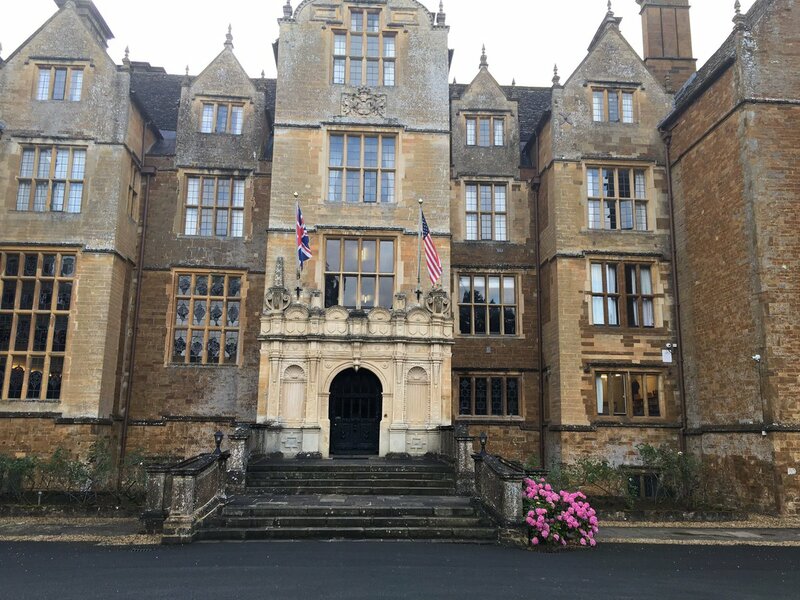 This entry was posted in Uncategorized and tagged Lord North, Workshop of Parliamentary Scholars and Parliamentarians, Wroxton Abbey, Wroxton College. Bookmark the permalink. Given that it is the ancestral home of Lord North, my first thought was whether it’s a case of mistaken identity. 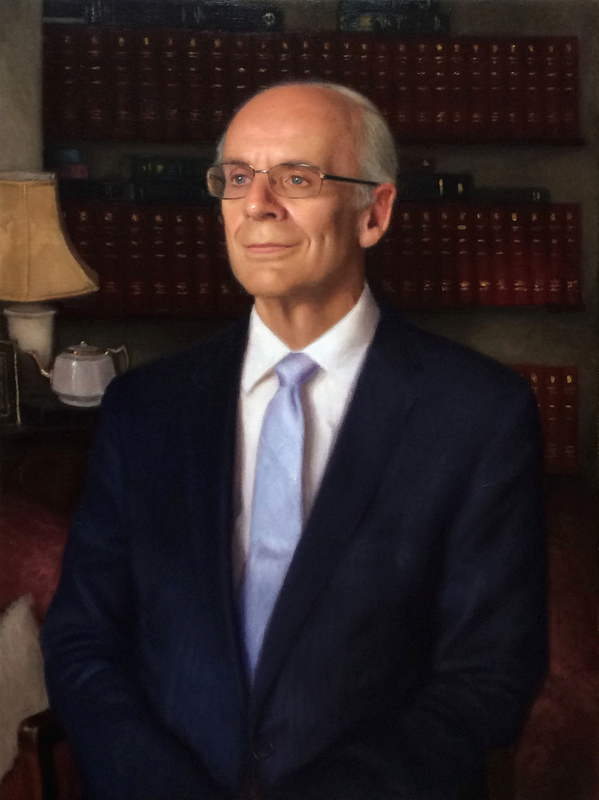 Did Jack Straw have a hand in locating this new portrait? Thank you. I think the artist, Alex Debenham, did a splendid job. This Abbey is a rare and beautiful building. It really is a privilege to have a portrait of oneself hanging in such a distinguished spot. It must be deeply felt the person given such an honour is deserving of it. Acknowledgement of their gratitude had to be fulfilled.